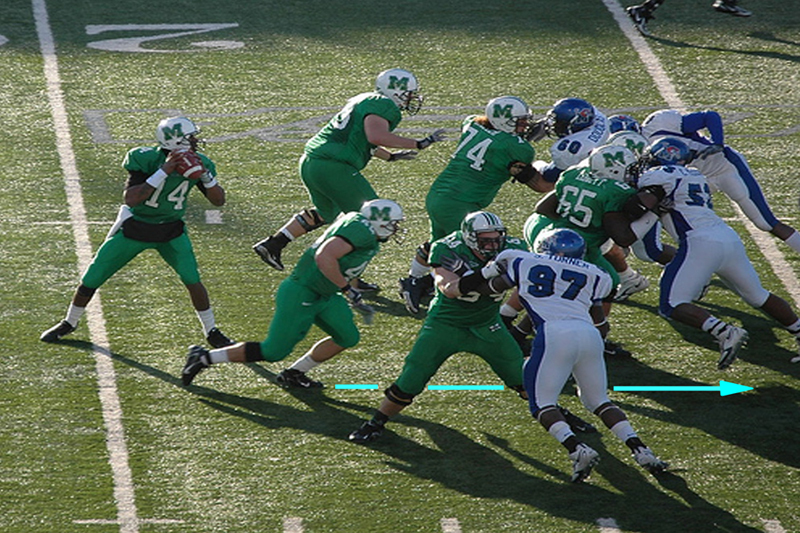 Also know as BOB, Big-on-Big is generally a six-man – 5 OL and 1 RB – pass blocking scheme that pits offensive linemen against defensive linemen. In other words, big guys on big guys and for the obvious reason: they’re equal in size and strength. 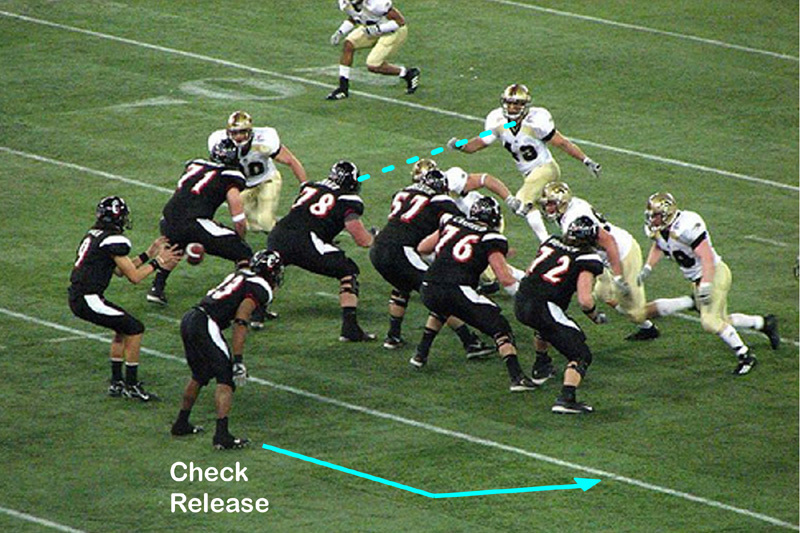 This, in turn, allows the running back to block a defender more his size: a linebacker or defensive back, should they blitz. Even better, though, when the defense doesn’t blitz, the running back can release into a pass route. This is called a “check release” assignment. 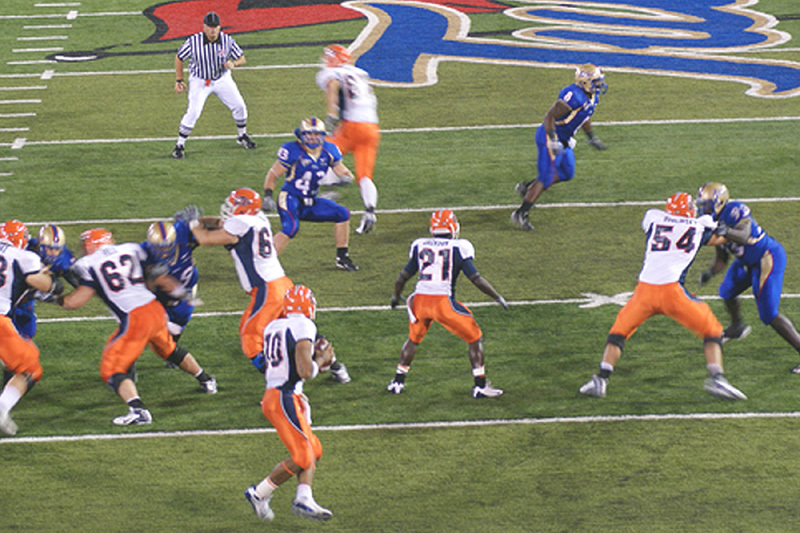 The running back checks first for a blitz before releasing into a short pass route. In the photos below, big guys are blocking big guys and the running backs are checking for a blitz, but there is none so they’re free to attack any open grass in the underneath coverage, giving the Quarterback a checkdown option should everyone else be covered.